CCK and Views Modules builds together very important part of Drupal’s magic.They are used to create data types and alter the way how they are displayed. CCK is one of the very essential modules for Drupal. It’s full name is Content Construction Kit. CCK allows you to create new content types (and extend existing content types). 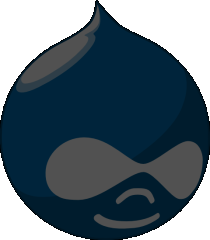 Drupal comes with content types like web page and blog. For each content type, you can easily ‘create content' and submit a new web page, blog entry, etc. But perhaps your needs do not fit to those models of text simple entries (with eventual attachments, like images). For instance, if you would like to make a collection of famous quotations, and you want to track the also the author’s name and the source of that quotation (book title, for instance). Views module works together with CCK. Essentially, Views is a smart query builder for displaying and filtering results. In our example, you want perhaps to filter and display 10 most popular quotations of Winston Churchill (popularity is based on the number of clicks on your web site). You want a way to display a block with the 5 most recent posts of some particular type (News or Blogs, for instance). You like your default homepage view, but you want to sort some elements on it differently. You want create a monthly archive of your blogs that displays a link in the form of "Month Name, Subject (Number of Posts in Month)"
With Drupal, building an impressive website from scratch is simple and straight-forward. It requires less programming than the other CMS's. More than this, it is easier to add new features and even reshape Drupal website from a simple presentation site to a web application. You do not need to implement everything again from the scratch just to change something simple – you just make the change. Drupal is very well known for its meticulously crafted and well-designed code. The design structure empowers developers to write a code that uses the system resources wisely. This means the speed issues and concurrence problems are not likely to come into consideration in everyday work. Even more, patches or updates to a site can be done in a straight-forward manner, and updating existing Drupal system that follows a simple set of general rules usually take no more then one day to implement. Most of the people do not think that security is something that they should be bothered with. Unfortunatelly, they are wrong. There are people around this world that use their time and energy to attack web sites, and the consequences for you could range from loss of business to legal liability. Modern organizational requirements moved their focus from simply managing data, to making content easy to find and retrieve. With increasing amount of information that are “somewhere” in the system, the problem of retrieving it is becoming crucial. The Taxonomy module is Drupal’s answer to this challenge. Content Construction Kit is one of the modules for Drupal. It allows you to define custom fields in your content types. For instance, you want to make a collection of famous quotations, and you want to track the author, the quotation and the source of that quotation. And Views can help you to create different lists of quotations: you can sort them alphabetically, or display only quotations of Winston Churchill etc. This is only the beginning of the possibilities offered by CCK & Views. Please contact us for further information about the capabilities of CCK & Views and our Drupal services.